The treatment accorded to the family and the body of the late Alan McLay by the Morobe provincial government, especially with no political leaders present at his funeral and the non-declaration of a public holiday in Morobe has not gone down well with Sir Jerry Nalau. 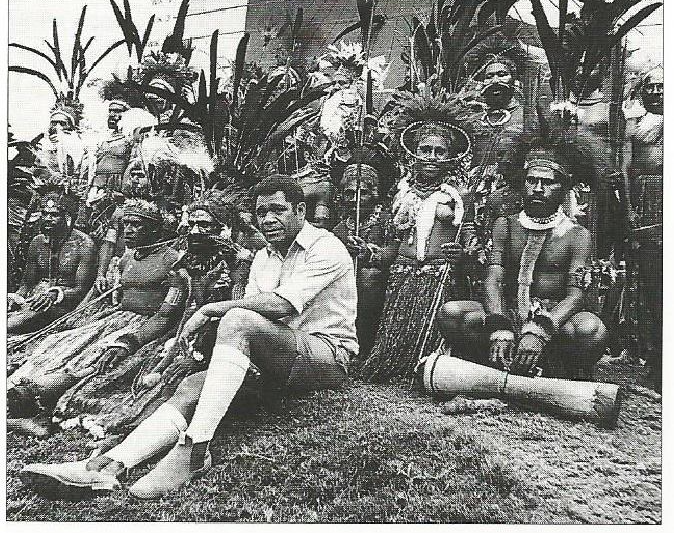 While the Prime Minister Peter O’Neill paid tribute and Australian High Commissioner Bruce Davis flew into Lae just to attend and pay respects at McLay’s funeral last week, the absence of Morobe Governor Ginson Saonu and the Open Members of Parliament from Morobe was obvious. Sir Jerry, the former Kiap, District Commission and Morobe Premier, expressed disgust and described it as a big embarrasment for the province, saying he almost announce the stripping-off of his knighthood title during McLay’s funeral as a sign of protest. Sir Jerry, is a national icon, having achieved alot during the Australian colonial rule to self-governance and eventually independence, achievements which resulted in him being knighted ten years ago. Sir Jerry admitted that most of his achievements were done with Alan McLay at his side as his assistant and advisor and McLay's highest honor was being accorded a Member of the British Empire award a few years ago. However, Sir Jerry says McLay was overqualified to be knighted like him, compared to a good number of men who had political connections, spent less time in Papua New Guinea and gave little to the country’s development but were recommended and knighted, especially in recent years. “Its very bad, I feel sory for that, he was overlooked, many people were given awards but Alan McLay was overlooked, the man who did a lot for PNG, for Morobe province and the provincial government and the Lae City Council," Sir Jerry said. “I feel sad that the Morobe provincial governmet didn’t give him any credit or declaring a public holiday or flying flags at half mast," he said. "From my experience working with him, that man is very dedicated, very creative, very honest and I would support any move by the public to have a monument, road or building named after him," he said. He said he was glad that the body of his great friend was buried in Lae, as he has done a lot for Morobe province.